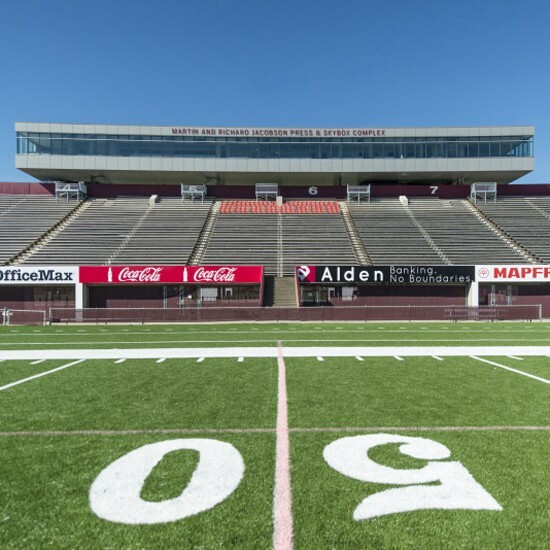 Designed by Perkins & Will, UMass Amherst’s new Football Performance Center and Press Box were formally dedicated as part of the university’s homecoming festivities in 2014. 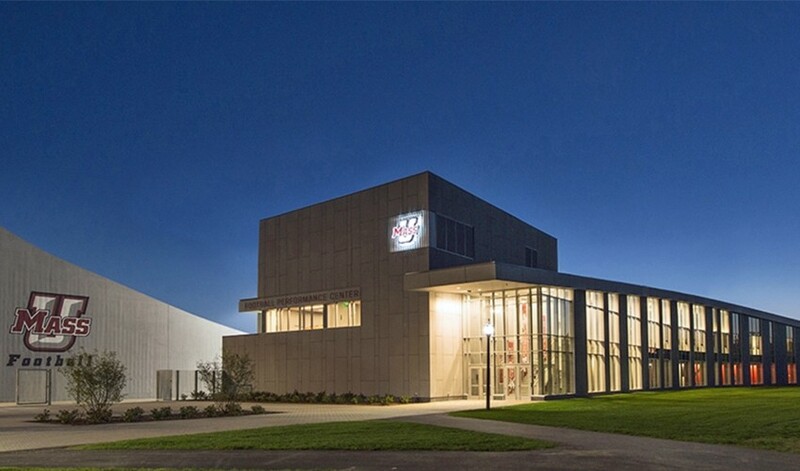 The 55,000-square-foot, two-story performance center houses all of the support elements for UMass football, including offices and meeting rooms, locker rooms, and strength and conditioning space. The 5,800-square-foot press box has suites for game day use, broadcast rooms for radio and TV, and dedicated instant replay for officials. For the performance center, Sunrise’s scope included radius zinc patina soffit and fascia ACM rainscreen panels. Sunrise also installed zinc patina ACM wall panels and exposed fastener corrugated/perforated single skin panels at the staircase leading to the press box and the entire soffit/ceiling of the press box.